AutoMind Collision Group | We Open Up To You. I am your perfect repair process manager, taking care all of your car's needs. Whenever you have a question or request, don't hesitate to ask. AutoMind Vancouver is a member of the Porsche Certified Collision Centre Program. The program encompasses a network of factory-approved collision facilities, each trained and equipped to provide collision services that match the quality of your Porsche automobile. AutoMind Collision has six convenience locations in Vancouver, Burnaby, Richmond, Coquitlam, Abbotsford and Squamish ready to serve you. Not sure if you should fix your car through insurance or privately? AutoMind knowledgeable team will walk you through the process. If you are too busy to visit AutoMind, simply call our Mobile RPM, we will pick up, repair and deliver your vehicle. Visit one of our six locations and let AutoMInd walk you through the repair process. You are completely protected against defective workmanship or materials for the lifetime of your registered ownership of the vehicle. We promise that your vehicle will be ready on time or a quality courtesy vehicle will be provided to you at no extra charge. AutoMind Collision has been servicing customers and their vehicles in the Lower Mainland since 1982. AutoMind offers complimentary On-Site Estimate to those customers who are too busy to visit our locations. AutoMind is the most diversified auto body shop in the lower mainland, we speak English, Mandarin, Cantonese, Korean and Vietnamese. AutoMind is one of largest independent auto body shops with six locations in the Lower Mainland. 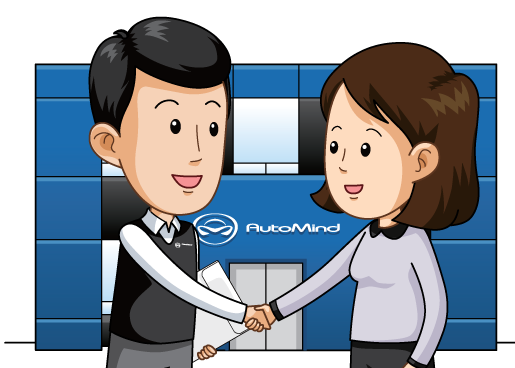 I am a regular customer of Automind Collision. New team member Sam Sandhu has a great sense of humour and provided excellent customer service care. When I got my Mazda 3 back, I felt like I was driving a brand new car. Automind Collision always provides excellent customer service that is why I keep on coming back. I usually don't leave any feedback, but this time, I just wanted to thank Automind collision staff members for going through with my car. I would 100% DEFINITELY recommend Automind collision to my friends when they get a car accident. Just wanted to take a second to let you guys know how awesome your service was. Teresa was super easy to work with and helped accompany my busy schedule. Was able to drop my truck off first thing in the morning and was finished faster then expected. Dropping my truck off at my house was greatly appreciated, especially looking good after a complementary detail. You guys know how to run a business. Thank you. My girlfriend said her car was fixed quickly and the finished results were beyond her expectations. The staff were efficient and friendly and explained everything to her clearly. Because of the great service at AutoMind, my girlfriend is very happy. So i'm very happy too. I just took my car into the shop to get some work on the side rear panel. The whole process was simple and stress free thanks to your staff. They took such good care of my vehicle. You totally exceeded my expectations and I will definitely recommend your shop to friends and family. Hey there Patrick. I couldn't be more happy with the services you guys offered and the job well done. I am so happy with you guys I will definitely recommend you to all my family and friends. You guys stand out for sure :) thanks again for making my experience as smooth as possible ! From the get-go of talking on the phone, the follow-up for looking over & estimate, to the finish. Wonderful! Glad you're an honest company & stand behind your work. I won't hesitate to recommend you when any of our friends & relatives need some auto body repair. Eric took care of us and our car. He explained everything to us... He kept in touch... Updated us on what was going on... Eric went out of his way from me. Thank you Eric for making my life easier. Bill and I will highly recommend AutoMind to family and friends. Your feedback is highly appreciated and will help us to improve our services to serve you better. Please click HERE to let us know how we did. At AutoMind, our Open Up way of life is a transformation in auto body repair expectations. We are committed to delivering a comfortable, trustworthy and inspirational experience unrivaled in the auto repair industry. Take solace in our Auto Repair Guaranteed Completion Date. Experience our advanced and organized atmosphere.